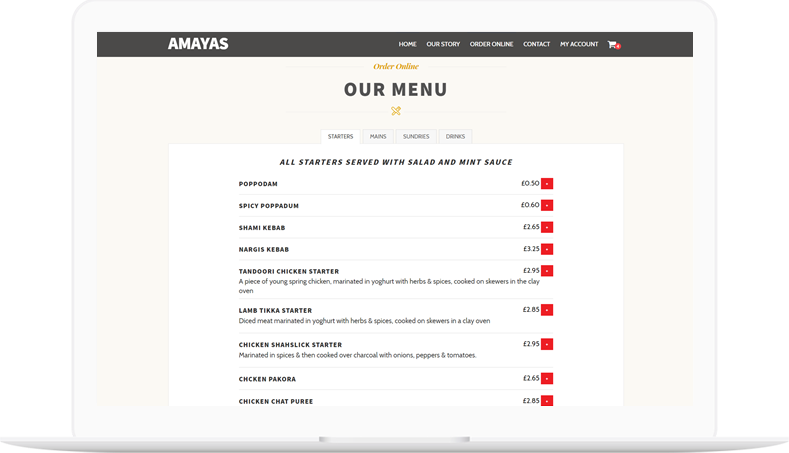 Online Ordering System for Your Restaurant - Get Your Free Trial! A online ordering system can save you thousands of pounds, and allow you to regain control of your business. A online ordering systems consisting of a responsive online website and a perfectly designed iOS and Android mobile app, so customers online orders at the touch of a button. Reward system that is tailored to fit the needs of your business, ensuring your customers are coming back to order again and again; and most importantly – via your own website and app! Stop paying commission on each and every order and get in control of your finances with our fixed price, low monthly payment. Our online ordering system have been built by people not machines. Our staff have years of experience working in takeaways and restaurants, and know exactly what is required for business owners and customers as well. Some of our great features include SMS order confirmations, automatic order receipt printing, for easy kitchen management, automatic customer mailing lists, push notifications for mobile apps, and much more. We understand that changing your customers behaviour from ordering via high commission platforms like JustEat, to using your own dedicated online ordering system website and app is not easy! That’s why our systems have been thoroughly tested to ensure they are as user friendly as possible and provide the best experience for your customers. Do you know that research shows that the biggest customers bug bears is not being able to find your online presence? Being accessible is important for a number of reasons, but the most important reason for you is to ensure they place their orders via your own website and app, to ensure you make a low commission sale. Thats why Bring The Food tailors each and every website to be responsive. That means your website will be accessible and very user friendly on all devices, whether that is a mobile phone or a desktop, whether that is on a 3″ screen or a 50″ screen, whether that is from Birmingham or London. Bring the Food also offers beautifully designed mobile apps too, so not only are you available online, you are also available from the Apple App Store and the Google Play Store. Use the sliders below to select how much business you make from food portals, and how much your commission is, and we will show you how much you can potentially save!